Fulshear, Texas is now the fastest growing city in the State according to the U.S. Census Bureau. From July 2015 to July 2016, Fulshear’s population grew by 35.3%, from 5,855 to 7,925 residents. The budding municipality 35 miles west of Downtown Houston had only 1,134 residents in 2010. Population and Survey Analysts (PASA) is currently studying the city’s growth and will be presenting annual population projections upon the completion of a demographic analysis this summer. PASA also provides annual enrollment projections to both Lamar CISD and Katy ISD, the school districts educating Fulshear’s students. The growth in Fulshear is projected to accelerate as more quality schools open and future master-planned communities begin construction. Dripping Springs, located southwest of Austin, was the second fastest growing city with an increase of 26%. Mid-sized cities between 50,000 and 500,000 residents grew mostly in large urban areas. Topping the chart was Conroe, the county seat of Montgomery County in the northern fringe of the Houston Metro Area. In 2016, Conroe had 82,286 residents, a 7.76% change from 2015. Not surprisingly, enrollment in Conroe ISD grew by 2.62% from Fall 2015 to Fall 2016. Conroe ISD has 59,764 students and includes The Woodlands, one of Houston’s highly-acclaimed master-planned communities. The second fastest growing mid-size city is Frisco with a population change of 6.2% in 2016 and 163,656 total residents. This fast-growth city, located in Collin and Denton Counties in the Dallas-Fort Worth Metro Area, has seen remarkable growth since 2000. 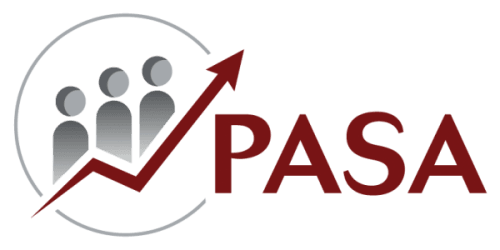 PASA annually assists Frisco ISD with long-range planning and enrollment projections. Much of the growth in this suburb is now occurring within Prosper ISD just north of Frisco ISD. Prosper ISD, with 9,998 total students, grew by an astounding 20.5% from Fall 2015 to Fall 2016. McKinney, Georgetown, and New Braunfels round out the top five highest growth mid-sized cities. League City, a suburb in the southeastern Houston Metro Area, grew by 3.9% to reach 102,010 residents—the only city in the nation to cross the 100,000-population mark in 2016. The six largest Texas cities with over 500,000 residents all had population gains in 2016. Fort Worth is the fastest growing large city with a 2.4% change in population, an increase of 19,942. Austin came in second with 1.9% growth, and San Antonio was third with 1.7%. Overall, the State of Texas is estimated to have 27,862,596 residents in 2016, an increase of 432,957 from 2015. Population gains in the four largest metropolitan regions of Austin, Dallas-Fort Worth, Houston, and San Antonio accounted for 86.5% of the growth in Texas. The two Metropolitan Statistical Areas with the greatest population gains in the nation were Dallas-Fort Worth and Houston, gaining 143,435 and 125,005 residents respectively.